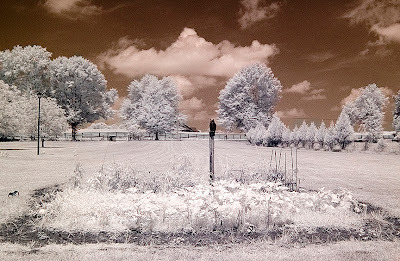 Another Infrared photo of the garden. It's full of weeds, but still yields awesome cucumbers, squash, tomatoes, okra, jalapeños and more. Yesterday after riding bikes we had our first watermelon, it was great.